Called the “Mayor of MacDougal Street,” Dave Van Ronk was a fixture in the Greenwich Village music scene for decades. He was a raconteur who was extremely well read and always ready to provide a quick quip on a subject at hand. More important, although he never achieved pop icon status, Van Ronk was the “guru on the mountain,” teaching and advising other musicians who went on to great fame. Dave Van Ronk was born in Brooklyn, New York, on June 30, 1936. He came from an Irish and Dutch background. He acquired a ukulele at 12 years old, a guitar a year later, and then he learned the banjo. His initial love was jazz, favoring singers like Bessie Smith, Billie Holiday, Jelly Roll Morton, and Louis Armstrong. “Trad jazz” or traditional jazz is a style of jazz harkening back to the sound of the early jazz (pre-swing) bands of the 1920s and ’30s. It underwent a revival in the 1940s and ’50s, in both the United States and England. Van Ronk was taken with this music and began to perform it on banjo. Down In Washington Square - The Smithsonian Folkways Collectionalbum cover. Another important influence on Dave during the 1950s was Harry Smith’s Anthology of American Folk Music. Released in 1952 by Folkways Records, the anthology featured reissues of 78s from Smith’s personal collection of folk, string band, Cajun, blues, and jug band music, dating from the period 1926–1934. It reintroduced the world to musicians like Mississippi John Hurt, Clarence Ashley, and Dock Boggs. Musicians who had been exposed to more polished folk performers—Burl Ives, Marais and Miranda, Richard Dyer-Bennet, et al.—now got to hear the raw stuff. First hearing the record in 1954, Van Ronk was one of the record’s early devotees. 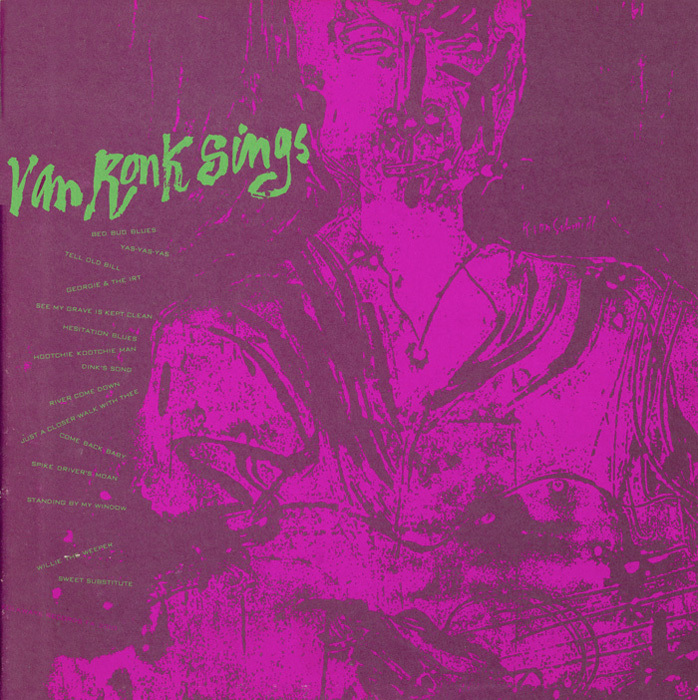 One unusual Van Ronk project from this period was an album of sea shanties recorded by Paul Clayton and the Foc’sle Singers, a group that consisted of Van Ronk, his singer friend Clayton, Bob Brill, and Roger Abrahams (later a professor of folklore at Penn). The seeds of the project were planted at some boisterous afternoon sing-alongs, accompanied by pitchers of beer at Art D’Lugoff’s Village Gate. 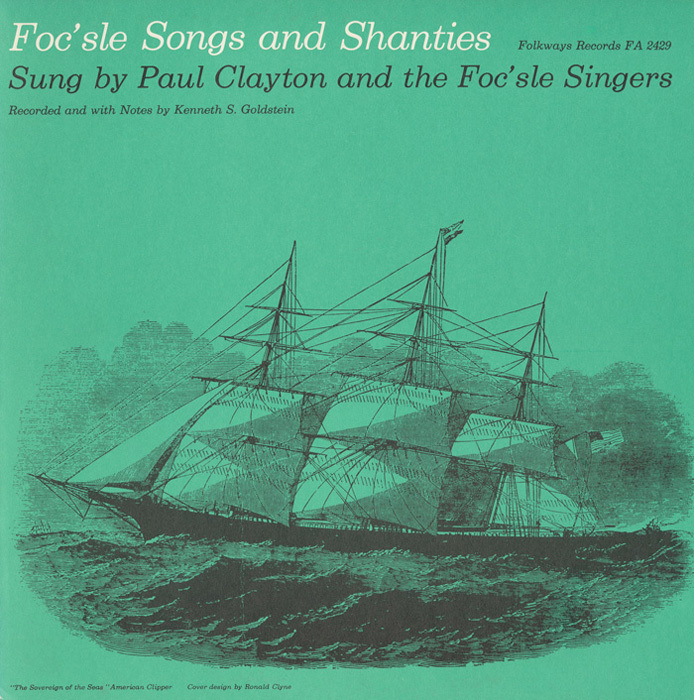 Eventually, enough songs were worked up to make an album for Folkways (Foc'sle Songs and Shanties). In actuality, it is a very good set of sea shanties, well annotated by—who else—Kenneth Goldstein. Van Ronk left Folkways in 1963, recording his album Folksinger for Prestige, a New Jersey label. A collection of jazz tunes, In the Tradition, followed in 1964, and then Inside Dave Van Ronk. He switched to Mercury for two albums, one with the Ragtime Jug Stompers. His 1968 album for Verve, Dave Van Ronk and the Hudson Dusters,was a major departure stylistically, heading as it did in the direction of psychedelic rock. It included versions of “Alley Oop,” an early arrangement of Joni Mitchell’s “Clouds” (“Both Sides, Now”), and a rock version of “Dink’s Song.” There were even 45 rpm singles from the album that were released for radio. In 1997, Smithsonian Folkways reissued the Anthology of American Folk Music to great fanfare. In collaboration with the Rock and Roll Hall of Fame and Museum, as well as others, the Smithsonian presented two concerts at the Barns of Wolf Trap celebrating the anthology. 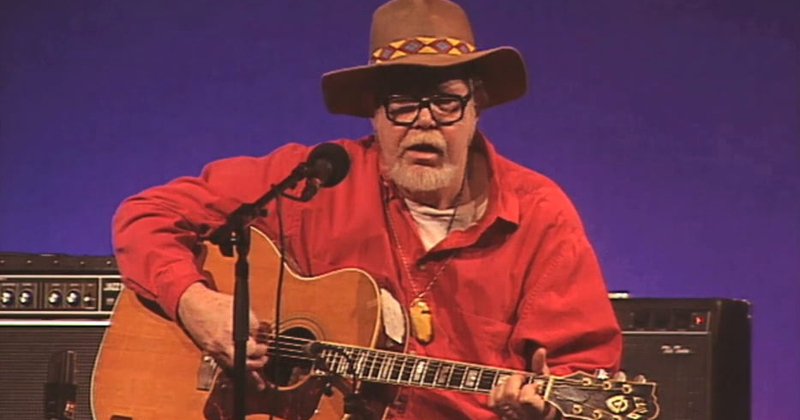 Smithsonian Folkways invited musicians who had been influenced by either the anthology or the collection’s compiler, Harry Smith, including John Sebastian, Peter Stampfel, The Fugs, The New Lost City Ramblers, and Dave Van Ronk. 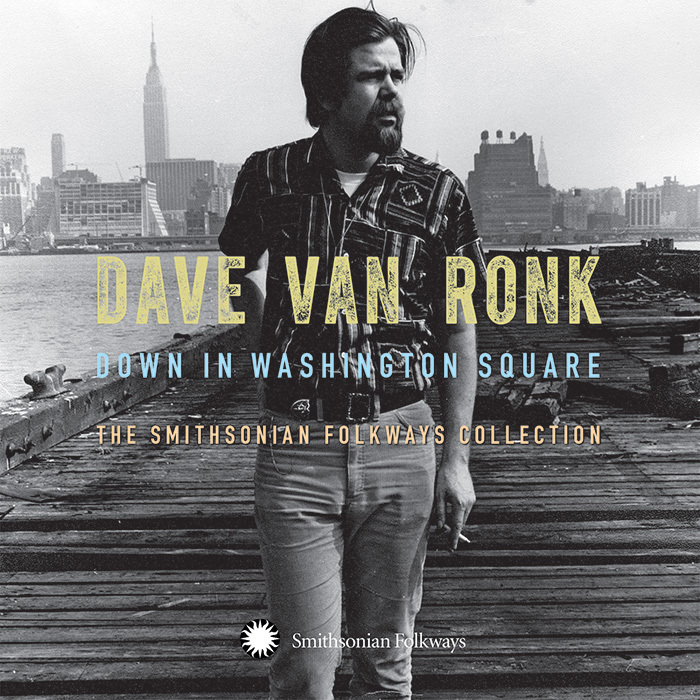 A compact disc collection came out of the concert with one Van Ronk performance, “Spike Driver Blues.” The remainder of Van Ronk’s set was released on the Smithsonian Folkways album Down in Washington Square: The Smithsonian Folkways Collection (2013). Van Ronk’s final concert, in October 2001 for the Maryland-based Institute for Musical Traditions, was recorded by David Eisner. After Dave’s death in 2002, his family and friends were anxious for the recording to be released. In 2004, Smithsonian Folkways published it as ...and the tin pan bended and the story ended... In 2005, Da Capo Press published Dave’s memoir, written together with Elijah Wald, The Mayor of MacDougal Street. A wonderful compact disc of the same name was also released, including outtakes and rarities from the years 1957 to 1969. In 2013, a major feature film called “Inside Llewyn Davis,” directed by the Coen brothers, was released that is loosely based on the life of Dave Van Ronk. The above text is edited and excerpted from the liner notes of the 2013 Dave Van Ronk release, Down in Washington Square: The Smithsonian Folkways Collection. 1 Verve/Folkways was a licensing deal Asch had with MGM Records for a brief period in the 1960s.